TREKSPACE - The social network for Star Trek Fans! The social network for Star Trek Fans! What's Everyone's Least Favorite Film...and Why? September 22, 2010 to October 31, 2030 – from virtually anywhere with an internet connection. I've been trying to figure my way around this site. Do we just post blogs, or on the forum? I know I chatted with others when we were online together. Sadly, my hours are strange, I'm usually here alone. As for Star Trek, I've been a fan since ever.... and I'm just happy to have Star Trek to watch, I don't get too picky over series, just specific episodes I'll pass over. Also wondering if anyone has gone on the Star Trek cruises the last 2 years? Is it worth doing? THe video they post in the ad looks great. My poetry, yes I know, poems, everyone writes poems. Why the hell shouldn't I? Yeah that's about it for now. I'm tired right now. Must sleep. Or clean something. I'm sure that's what I need to be doing instead. Calling all Starfleet officers, this could be you! You could be sitting in the "Captain's Chair" of this starship!! I will pick one person to draw as a captain, or rank of your choice, sitting in this TOS era captains chair on this bridge. This bridge is much like the bridge of the USS ENTERPRISE NCC 1701. This is a free contest and here's how you can win!!! 1) Write a paragraph telling everyone why you like Star Trek: The Original Series, who your favorite characters is, and what your favorite part of Star Trek is. 2) Submit a picture of you sitting in a chair, as if you were sitting in that "Captain's Chair." 3) Tell us who your "Star Trek Crush" is. Any character from The Original Series run for this contest. 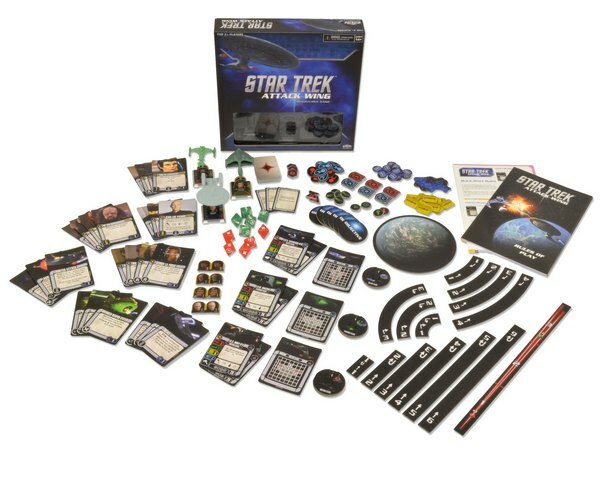 Rules: You have to be a member of TREKSPACE to play and win, either current or have joined before the end date, and submitted an entry. The contest goes between 8/20/18-9/20/18. The winner will be drawn from a hat during a video where I'll be in uniform with one of my crew members. OFFER EXPIRES WHILE YOU WAIT! This is a fan run contest brought to you by the USS RESCUE and the HECATE BATTLE GROUP. You have to be a member of TREKSPACE to play, but not the USS RESCUE or the HECATE BATTLE GROUP... but we'd welcome you to join! Let's get Trekspace back up and running. I used to love visiting this site. I imagine it's all on Facebook now but it would be great to get Trekspace going again. Everyone keeps asking and making blog posts about what happened to everyone here. Well, you’ve heard of Facebook? That’s right, the place you go argue about Star Trek topics every single day. If you want more activity here, be here, bring your friends over. There you go! The only thing that is living in a dark corner here is me. I’m getting rid of 1,000s of spammers, new spam members are running wild awaiting approval, bad accounts and coding a whole new place where Star Trek fans can safely dwell without ads (because I personally pay for this website), and unlike that other social site who has been under the gun lately there are no security risks here, nor are there information dumps or news feeds that are backwards (Facebook). But all the ‘events’, and annoying things people abuse here are about to go! I’m going to have to double my budget monthly to keep this place going and update it, so it is our hope that many people return when it’s more streamlined. I will send out a full site wide message to all members to let them know of the changes when they are complete. Until then, go post in the forums instead of posting a blog. As regular readers will know I've become a bit of a fan/obsessive over Attack Wing. Which made Friday's announcement from Wizkids somewhat worrying. At least initially. 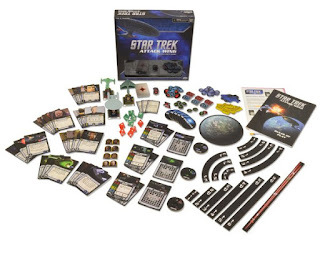 It appears that in February 2016 the game manufacturer will be delivering us Star Trek: Frontiers, offering a whole new spin on the franchise through roleplay and strategy. According to the promo material that landed this weekend, it will offer something new with players beaming away teams to planet surfaces and getting a different game each time. The original social website for Star Trek fans! "Anybody in the greater Corvallis (Oregon) area? (Besides me, that is.)" She'll always bring you home. "My Wife Gypsy got a new Car. I will be getting a new Truck later today."